SPRINGFIELD, Mo. – Bass Pro Shops Santa’s Wonderland-A Classic Christmas is returning for its seventh year to 67 Bass Pro Shops stores* throughout the U.S. and Canada. Santa will arrive at store locations Saturday, Nov. 15 at 5 p.m. for a special preview celebration. From Nov. 15 through Dec. 24 families are invited to create lasting memories at Bass Pro Shops through free pictures with Santa, crafts for kids, and games and activities to celebrate the season. “The evening Santa arrives will be a special celebration featuring Christmas carols in front of the store. On Nov. 15, we’ll also be treating customers to free cookies and McSteven’s hot chocolate,” said Katie Mitchell, Bass Pro Shops communications manager. “Plus in participating stores, kids will be invited to help Santa, through a little magic, to light up the outside of the store and a big Christmas tree in the main entrance. Kids can then follow Santa into the store for the unveiling of Santa’s Wonderland. Santa’s Wonderland will dazzle visitors with its variety of animated Christmas characters in addition to nutcrackers, reindeer, and live Christmas elves. 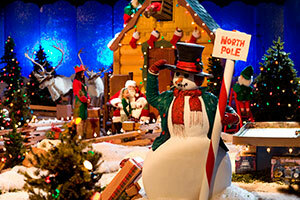 The Christmas village offers an old-time model train area, remote control trucks, a laser arcade, and slot car racing**. Kids can also spend time at one of the activity tables where they can write a letter to Santa, color and do fun crafts, all for free. 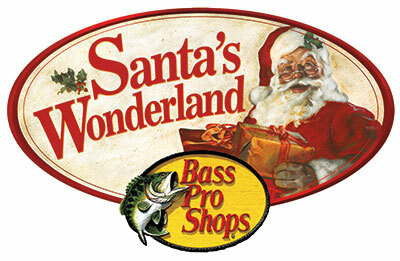 • 5:30 p.m. to 7:30 p.m. — Santa will be giving away a $25 Bass Pro Shops gift card to one lucky winner every half hour. • 6 p.m. to 8 p.m. — Families can take home a 4x6 free photo with Santa. • 6 p.m. to 8 p.m. — Kids can color a gingerbread man Christmas bag and the first 125 kids will receive a free woodland character backpack clip. The highlight of Bass Pro Shops Santa’s Wonderland is the big guy himself. 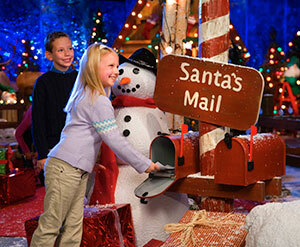 Those visiting Santa Claus will receive a free 4 x 6 studio-quality photo that will be cherished for years to come. Every store will also have an animatronics talking caribou that can interact with the crowd. In addition, Bass Pro Shops is offering free Christmas decorations and handmade crafts to take home. Holiday crafts for kids will include making holiday ornaments such as a stuffed reindeer, a plaster gingerbread ornament, a Santa bobber, and even decorating Christmas cookies on Dec. 24 from 3 p.m. to 5.pm. at most locations. • Weekdays, 3 p.m. to 8 p.m.
• Saturdays, 10 a.m. to 8 p.m.
• Sundays, noon to 5 p.m.
• Weekdays, 5 p.m. to 7 p.m.
• Weekends, noon to 5 p.m.
• Every day, open to close during regular store hours. Visitors look forward to Santa’s Wonderland as a way to bring families together in the spirit of the Christmas season. Bass Pro Shops has thought of every detail to make this Christmas experience memorable with a no-wait Bass Pass to see Santa. This allows parents to set appointments to see jolly old St. Nick so they can shop or enjoy the activities at Santa’s Wonderland instead of waiting in line. Photo packages and Christmas cards will also be available for purchase with instant print in the store. 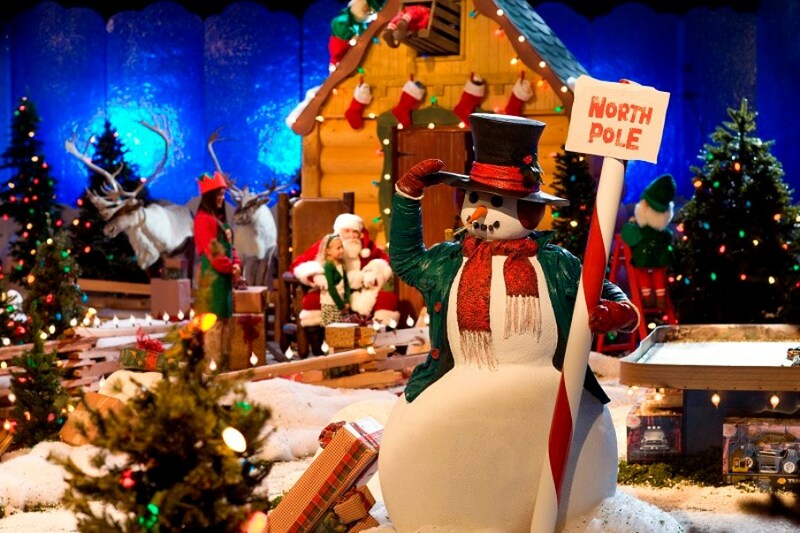 For more information about Bass Pro Shops Classic Christmas traditions at Santa's Wonderland, visit //www.basspro.com/santa and click on your local store for a complete schedule of Santa's Wonderland activities. *Event occurs in 67 stores — World Wide Sportsman in Islamorada, Florida is not included. **Activities, games, crafts and displays vary by time and location. Bass Pro Shops®, which specializes in outdoor fun, operates 89 retail stores and Tracker Marine Centers across America and Canada that are visited by more than 116 million people every year. Bass Pro Shops stores, many of which feature restaurants, offer hunting, fishing, camping and other outdoor gear while their catalogs and website serve shoppers throughout the world. The company’s Tracker Marine Group® (//www.trackermarine.com), which has produced the number one selling brand of fishing boats for more than 35 years, manufactures and sells a variety of boats for fishing and cruising. Family fun is on tap at Bass Pro Shops resort Big Cedar Lodge® (//www.bigcedar.com), voted number six by Travel + Leisure Magazine as World's Best Hotels for Families. For more information, visit //www.basspro.com. To request a free catalog, call 1-800-BASS PRO. Follow us on Facebook at //www.facebook.com/bassproshops.